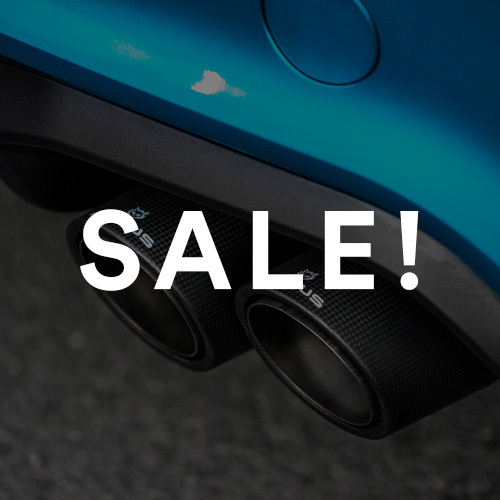 Looking to refresh the look of your Series 1 interior and upgrade the technology at the same time? 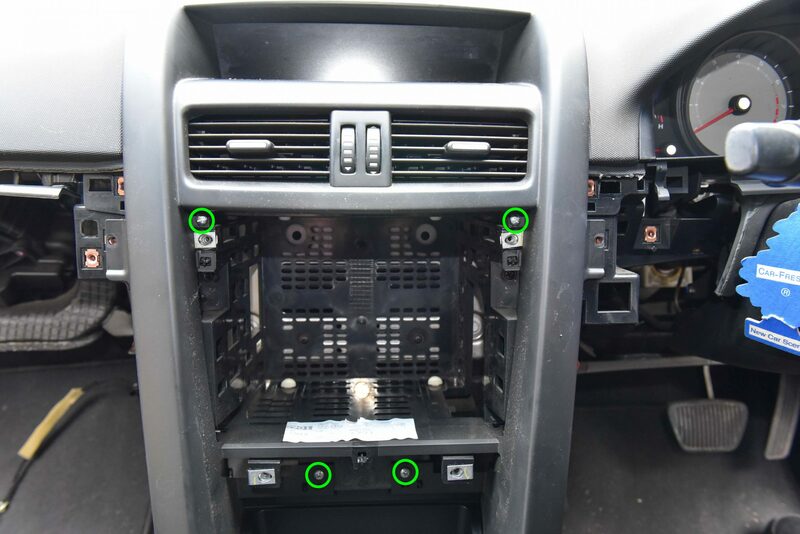 Look no further than a Series 2 headunit conversion! The Series 2 parts are a direct fit onto Series 1 vehicles. Be careful releasing the clips as the trim will drop downwards. It is quite heavy. Remove the drivers side trim. Pull outwards then firmly down on both trim pieces. 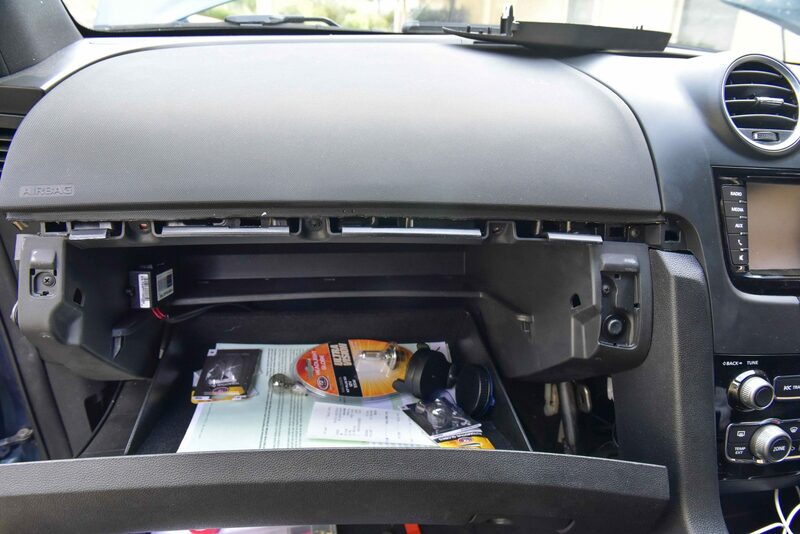 Moving over to the passenger side of the vehicle, we’re going to remove the glovebox. Unclip the kick panel by pulling firmly downwards. This is held in place by five clips. Gently remove the silver dash spear with a trim removal tool. 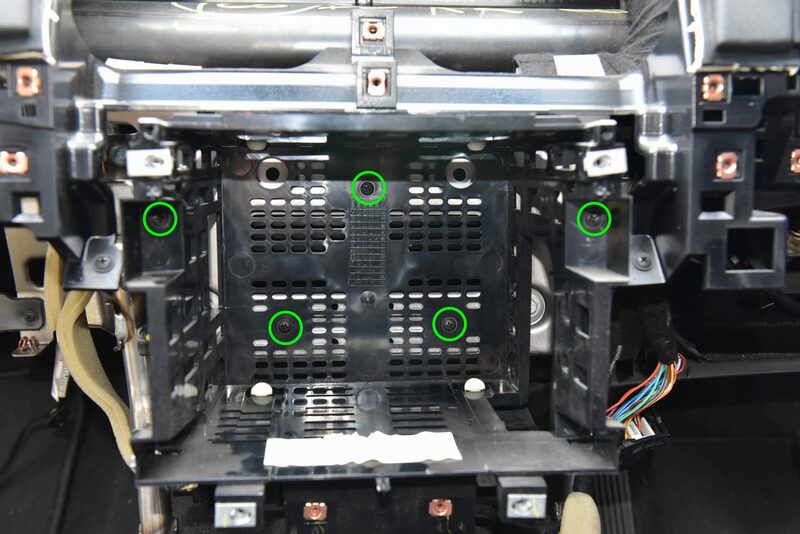 Also remove the two screw covers (Green arrows). 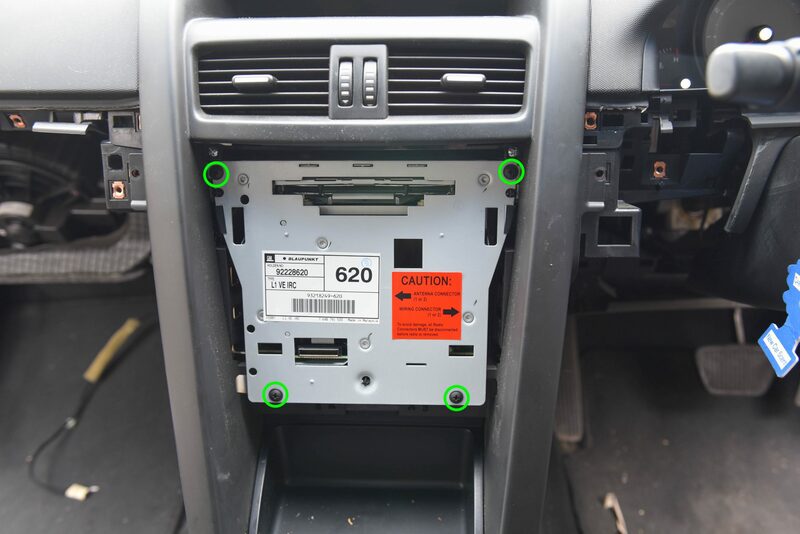 Remove the five screws which are now visible. 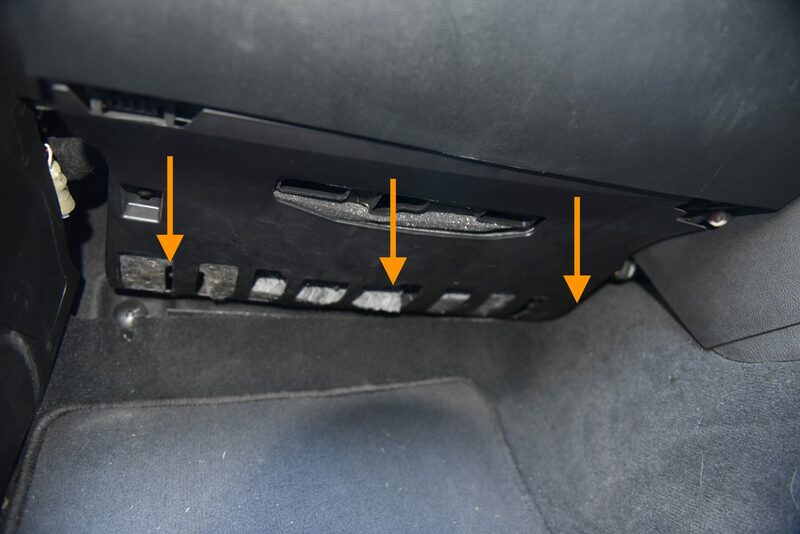 Remove the passenger side trim. Pull outwards then firmly down on both trim pieces. 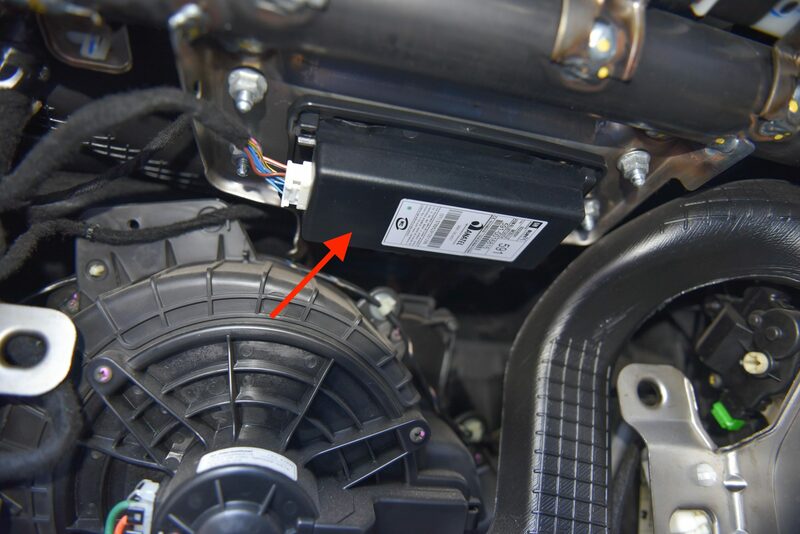 If installed, you can also remove the Bluetooth module as this is no longer required. Bluetooth is now built into the Series 2 headunit. 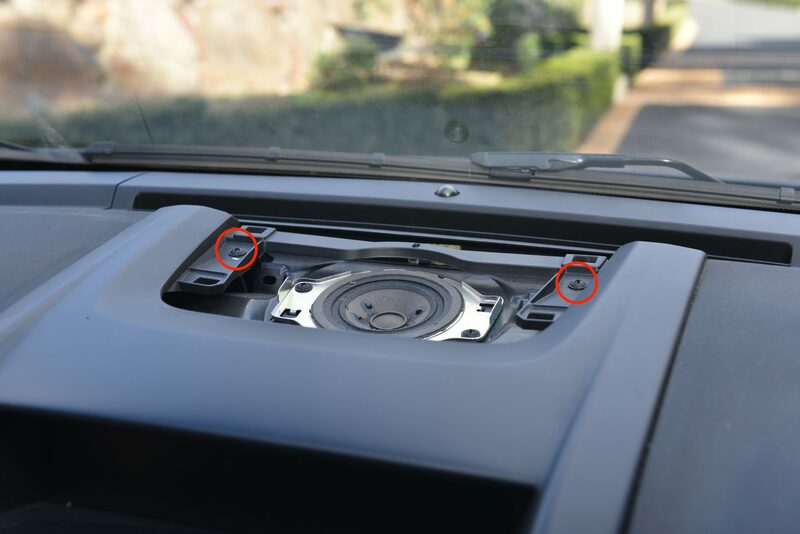 Follow the wiring diagram from your Series 2 conversion supplier to connect the roof microphone to the Series 2 headunit. 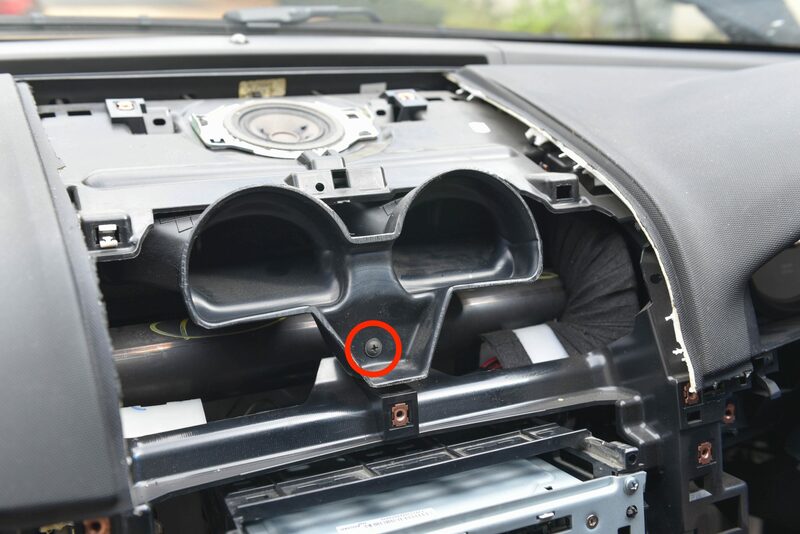 Remove the speaker grill from the centre of the dashboard. Pull firmly upwards from the back and use a trim removal tool to release the remaining clips. Be gentle as the clips are prone to break. Once removed unscrew the two screws as circled. Remove the drivers side dash spear. Using a trim removal tool, gently release each clip and remove. Unscrew the two screws as pictured. We will now remove the radio fascia. This can be quite difficult as the clips are very strong. Wedge your fingers or use an angled trim removal tool behind the fascia and pull towards you in a hinge motion. With decent force the headunit will come loose. 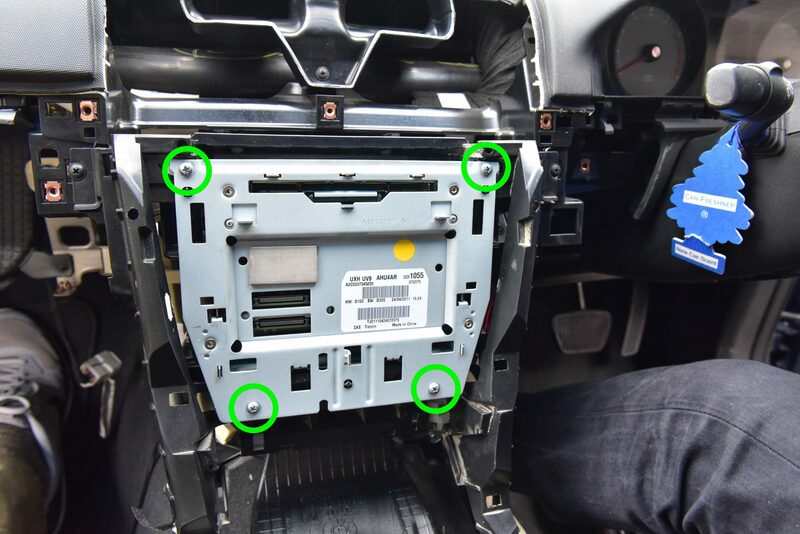 Remove the four screws as highlighted. Unplug the large connector on the drivers side. 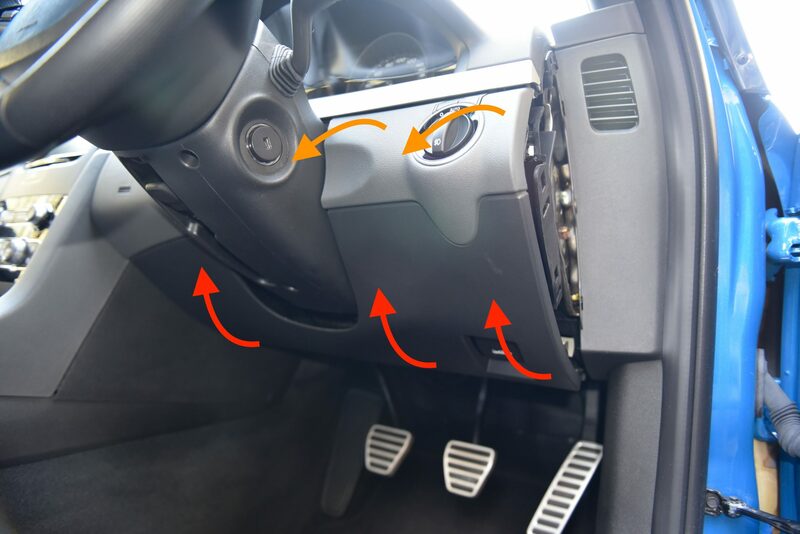 Pull upwards on the lever as pictured and the connector will be released from the headunit. Unplug the the antenna on the passenger side. 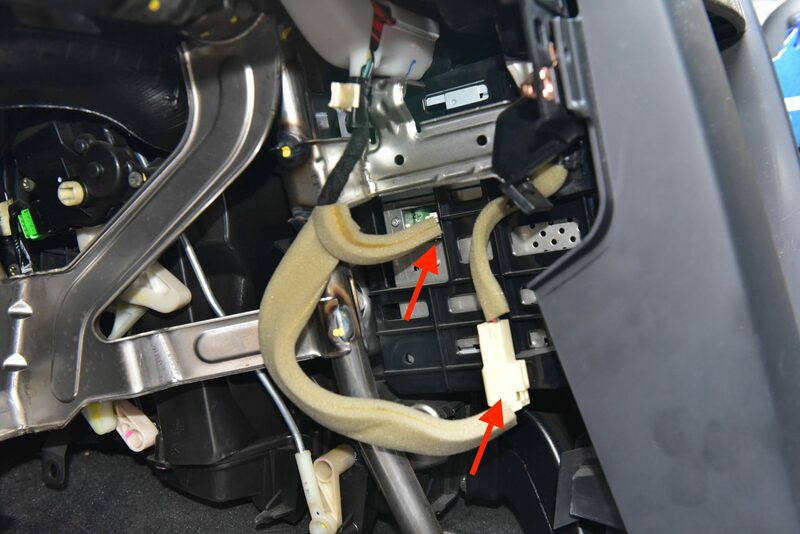 Also disconnect the harness as pictured. 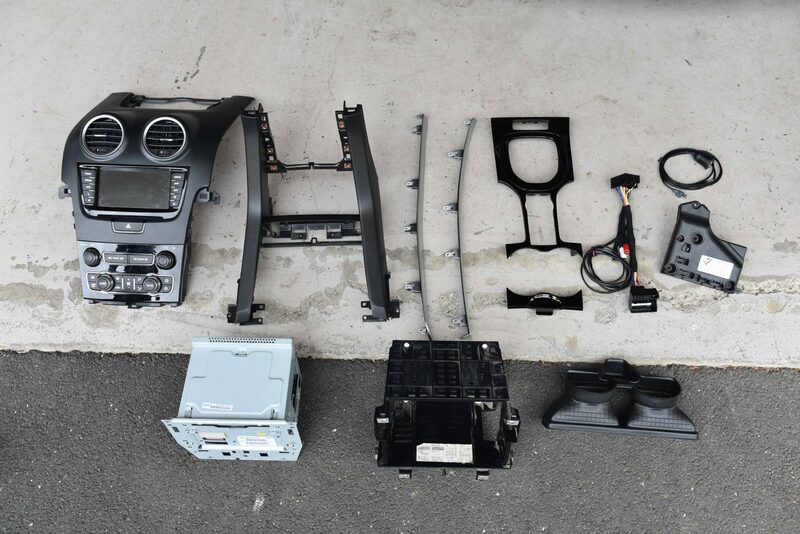 The headunit ‘brain’ can now be pulled out and removed from the vehicle. 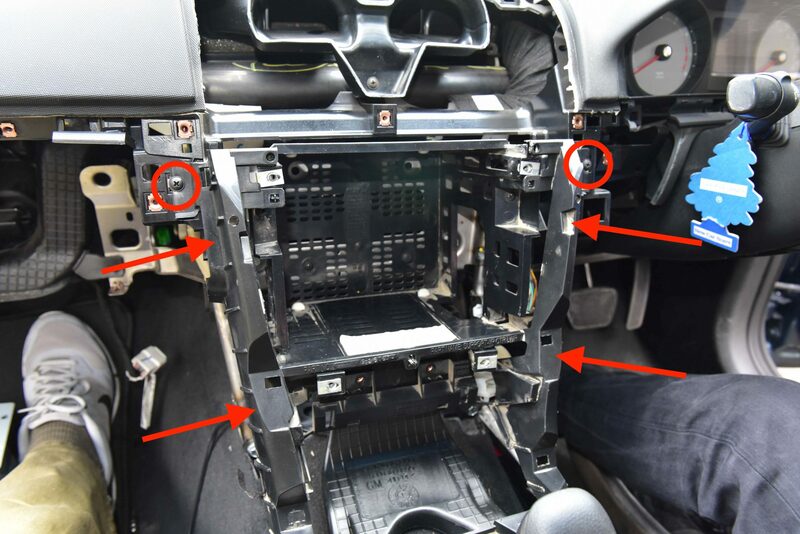 With the headunit removed, unscrew the following four screws as pictured. 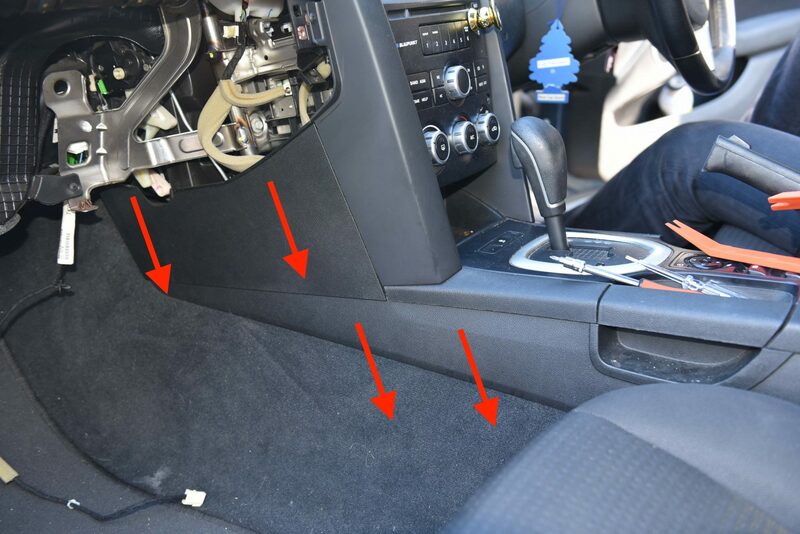 We will now remove the centre console trim. 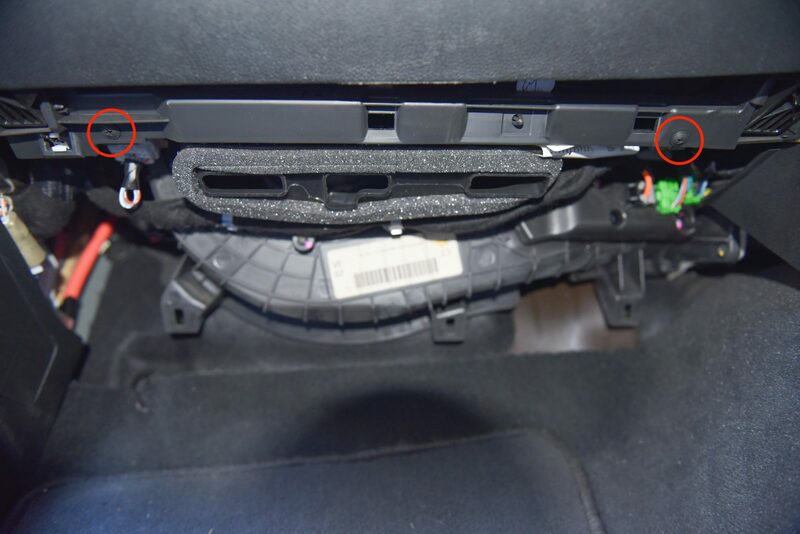 Using a trim removal tool, unclip the black trim piece which is held in place with six clips as shown by the arrows. Alternatively you can feel the clips from underneath and push firmly upwards to release the trim. Once unclipped disconnect the wiring looms for the window switches and traction control switch. 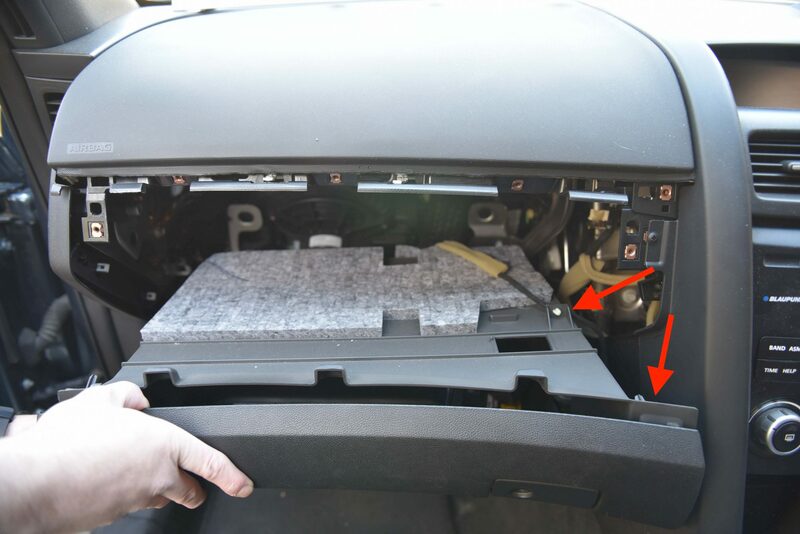 Unclip the air conditioner duct and remove the neighbouring screw on both the passenger and drivers side of the vehicle. 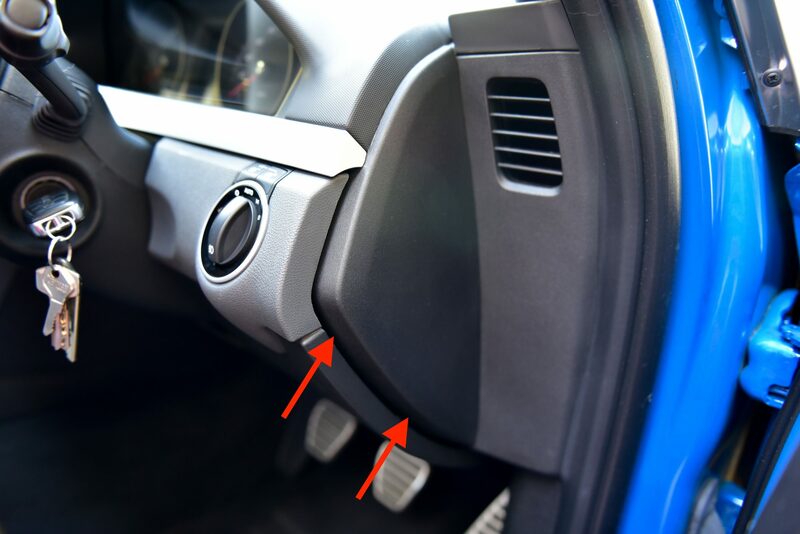 Unscrew the gear selector trim as pictured. 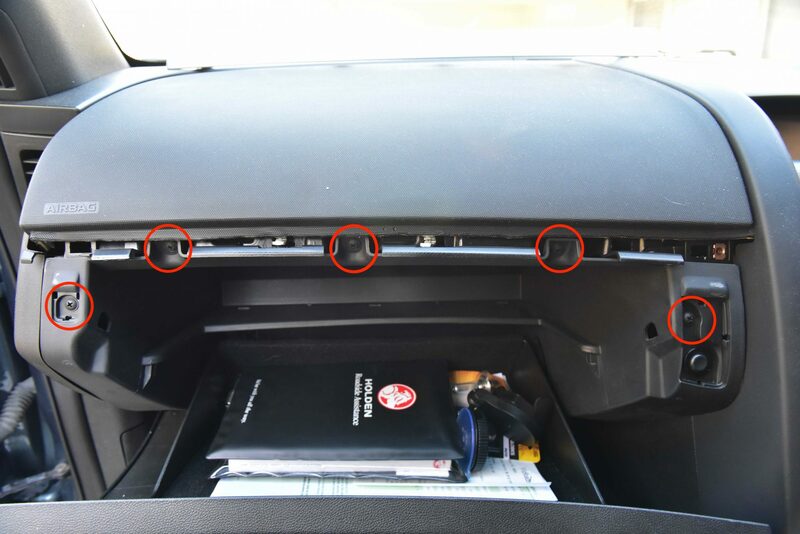 Unscrew the front storage compartment and remove. 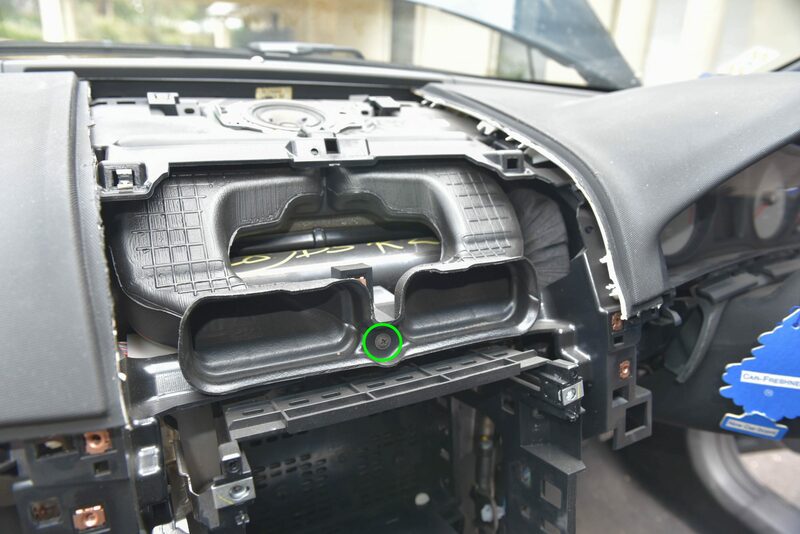 We will now remove the main trim piece surrounding the headunit. This is a four step process. 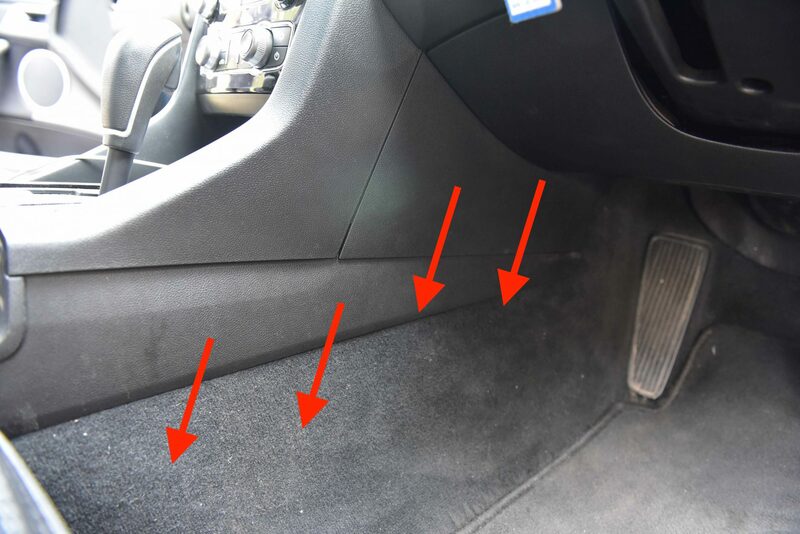 Red Arrow – Release the clip as circled, there is one on either side. You’ll need to push down on the centre console and attempt to release the clip. Some wriggling and prying with a trim removal tool is required. 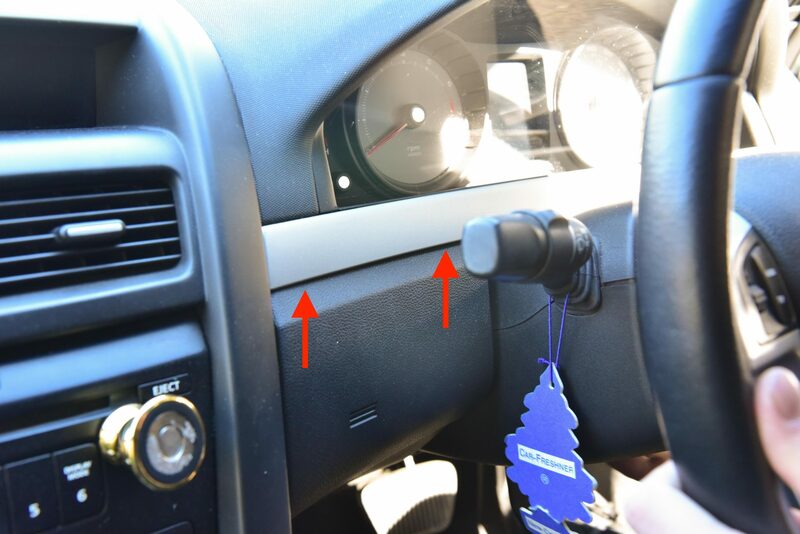 Orange Arrows – Once the above clip is released, pull firmly towards towards the centre of the vehicle to release the surrounding radio trim. It helps to pull from the top of the dashboard. 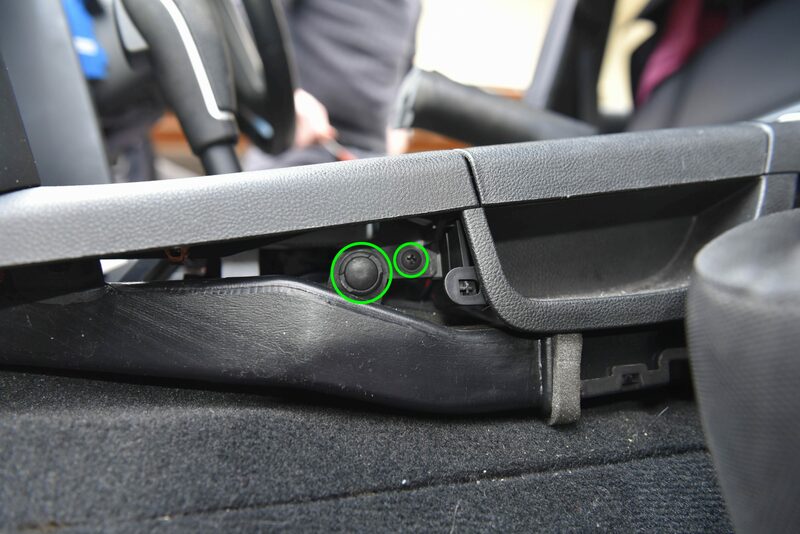 Green Circles – When the trim is released, unclip the wiring loom as circled and remove the trim from the vehicle. 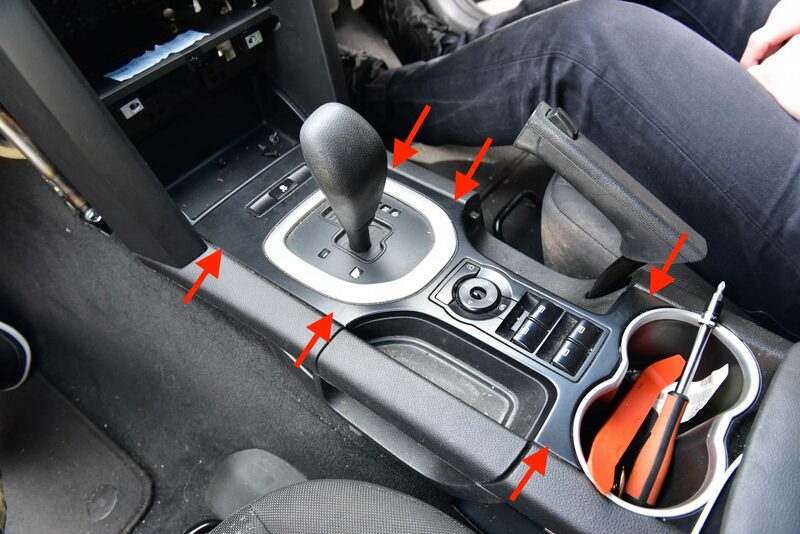 Remove the centre console trim surrounding the gear selector. 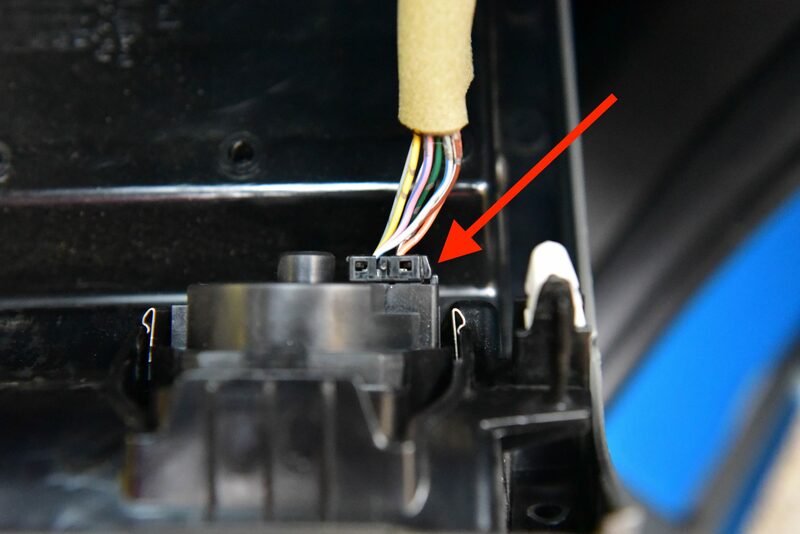 This is the trim with the clip circled in red. Unscrew and remove the air conditioner vent. 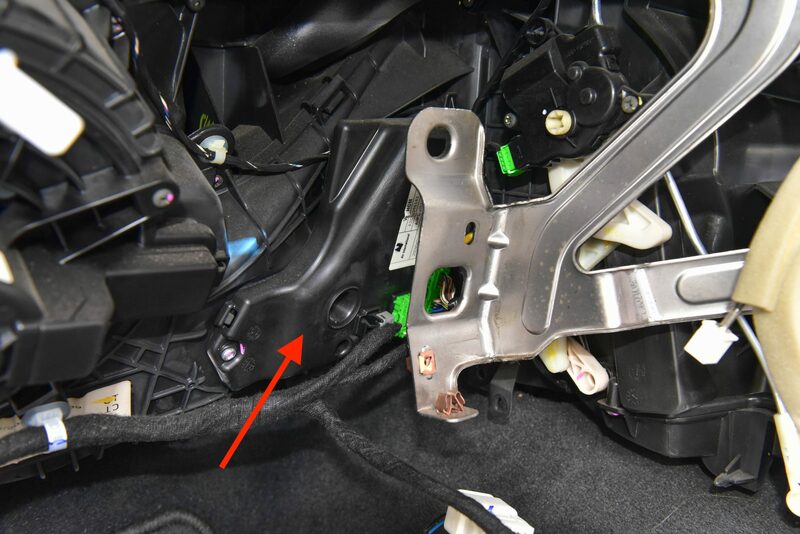 Unscrew and remove the headunit cage as pictured. We will now commence installation of the Series 2 Holden IQ. Here’s all the parts required. 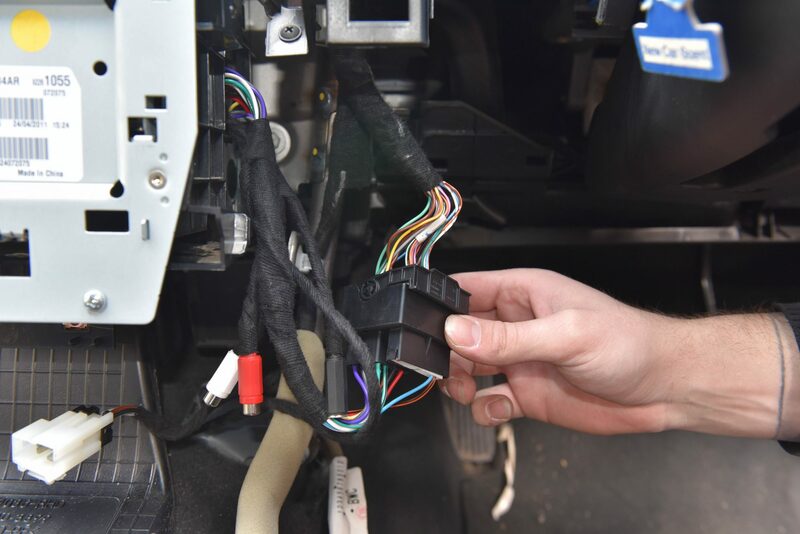 If a modified HVAC controller has been supplied with your Series 2 Conversion, it can be replaced by removing the passenger vent ducting and unscrewing the controller. 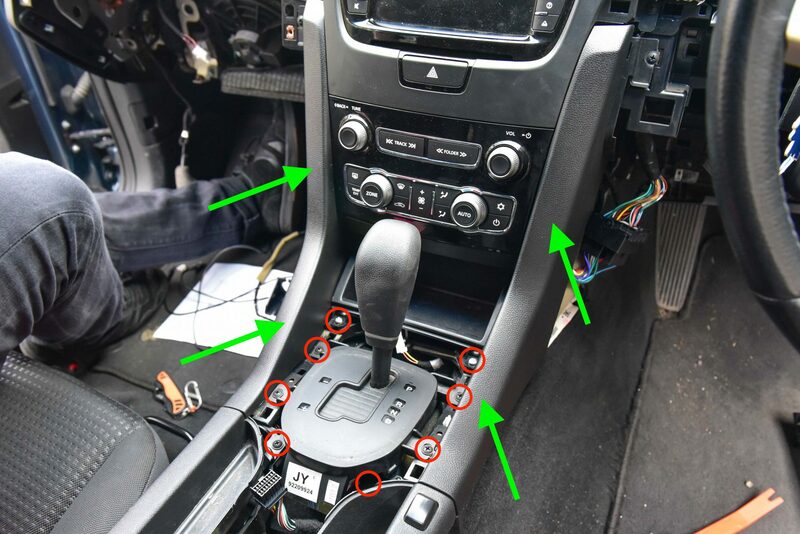 Replace the controller and reconnect all harnesses. 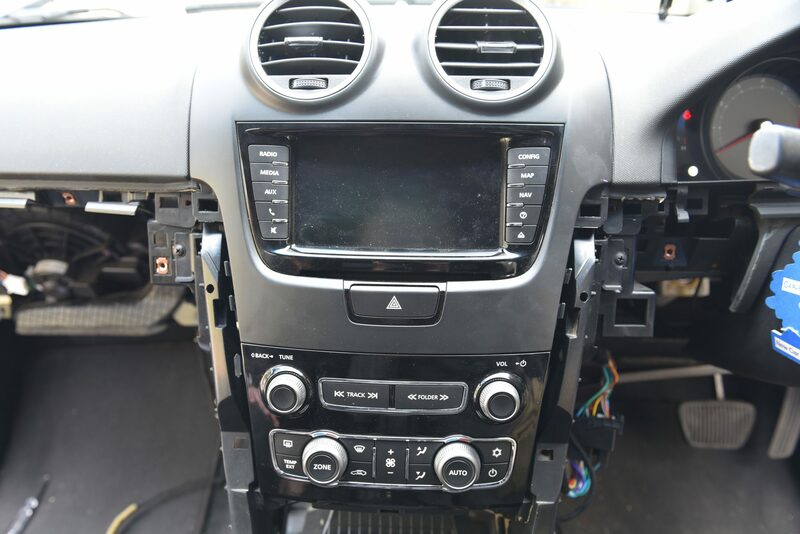 Install the new headunit cage and air conditioner ducting. Screw both into place. Fit the new trim frame and screw into place. Slide the new headunit into position and screw down as pictured. 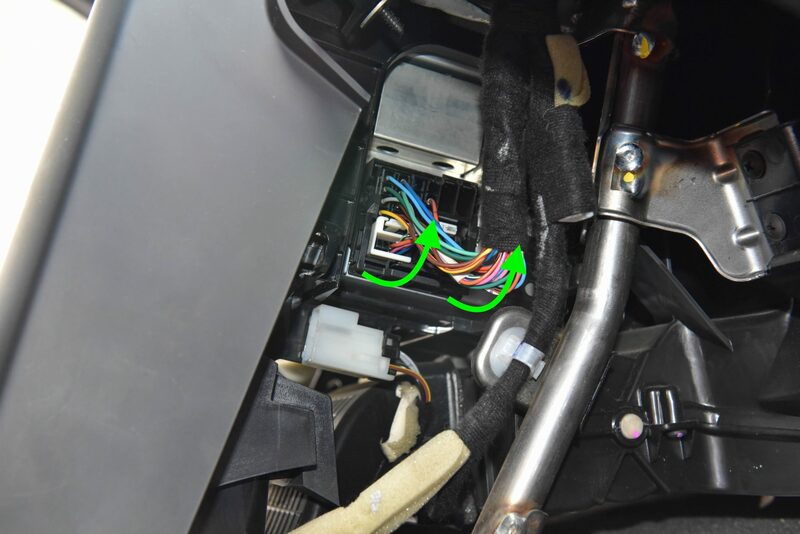 Connect the new wiring harness as provided with your conversion kit, then connect to the headunit. Also connect the antenna on the passenger side. Slide the new headunit facia and trim into place. Push down firmly on the whole trim piece to ensure the clips are secured. 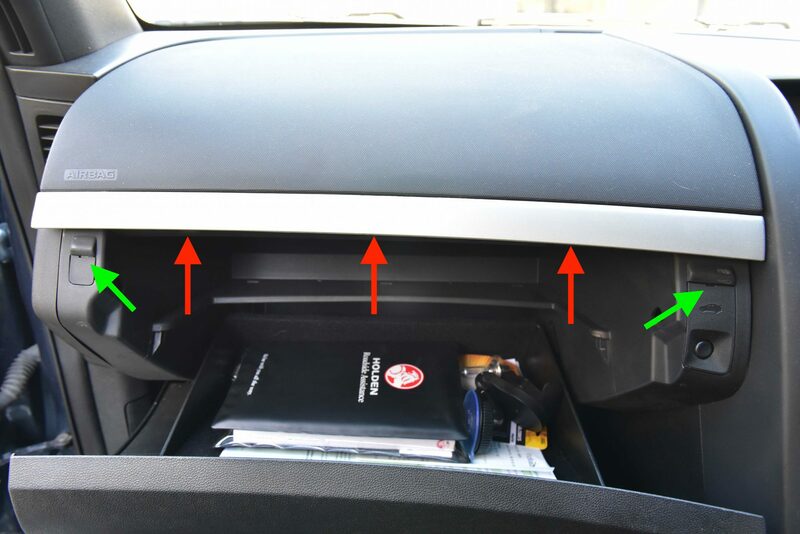 Install the storage compartment. 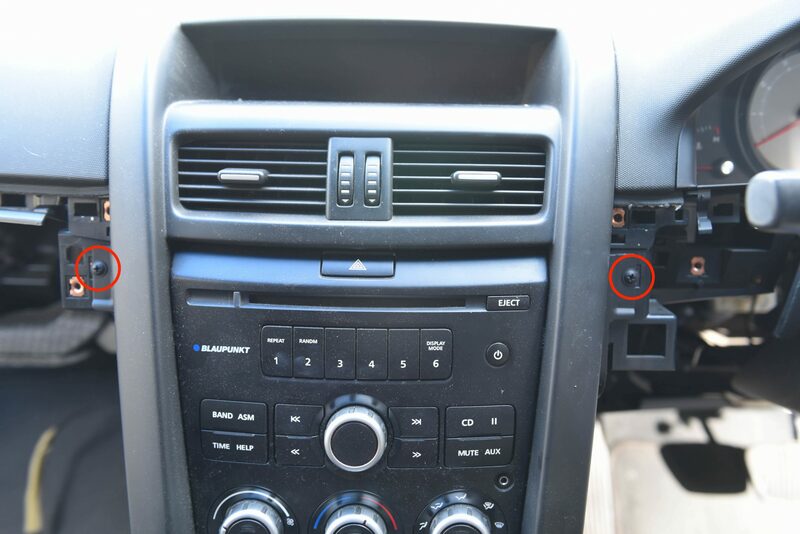 We chose to install our USB / AUX Input here as well. 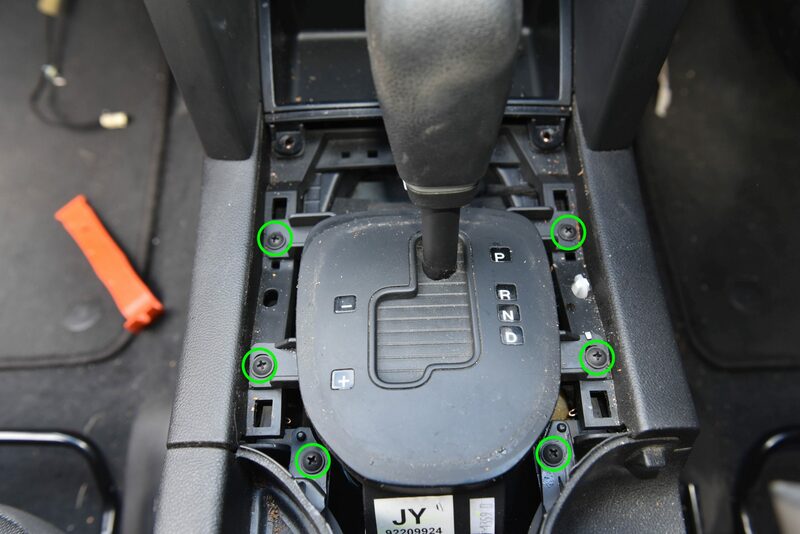 Install the surrounding trim (Green arrows) and screw the gear selector and storage compartment into place. 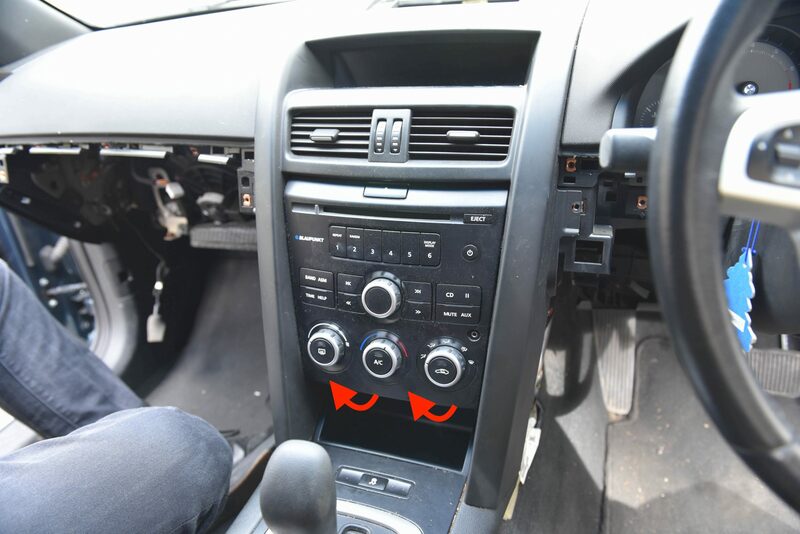 Connect the window switches and traction control switch, and install the new piano black centre console trim. Re-clip the air conditioner ducting and install the screw. Reinstall the side trim pieces. Push upwards and clip into place. 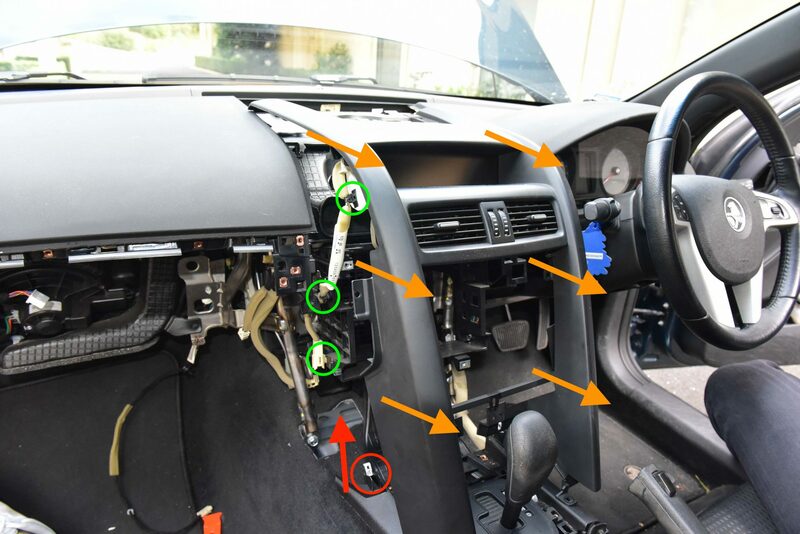 Reinstall the glovebox and steering column trims. Don’t forget to reconnect the boot release switch. Install the two new silver dash spears on both the driver and passenger side. Screw the trim into place and reinstall the speaker grille. 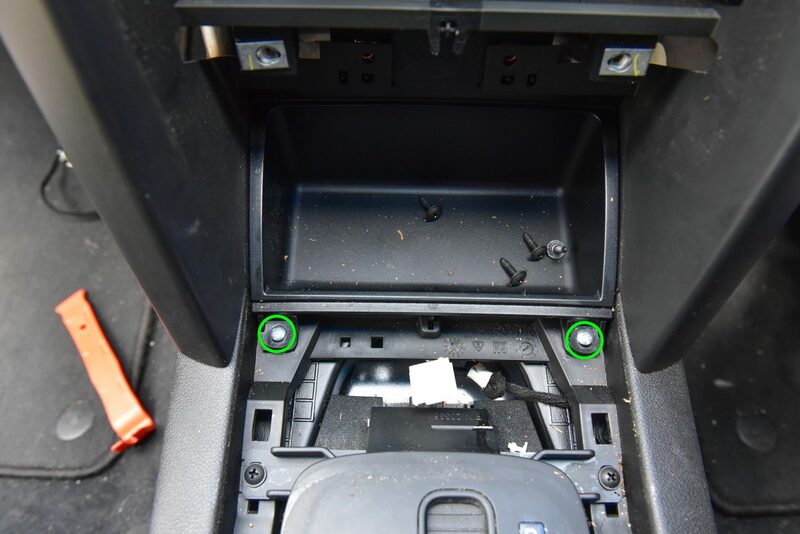 Your Series 2 Holden IQ Radio Conversion is now complete! 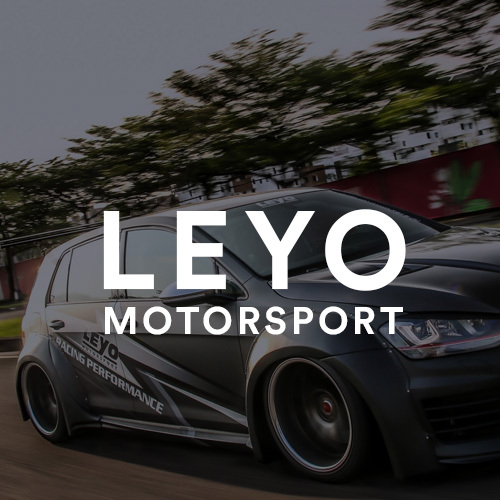 Hello, We don’t sell IQ Upgrade kits. Thanks. is the cage different from series 1 to series 2? I do believe the cage is different, most ‘Kits’ come with a new one. Check eBay, there’s a few sellers on there. I’m having trouble installing the trim in step 3 of installing. Is there any tricks to doing it? Been a while since we did this sorry! I do believe we had to force it slightly.